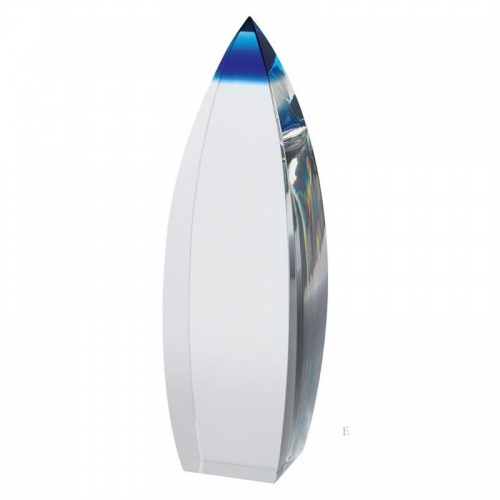 Stylish contemporary crystal award trophy, finely crafted in clear and blue optical crystal and available in three sizes. These eye-catching awards are freestanding and feature a curved rectangular shaped column tapering to a peak. The peak is blue glass while the body is clear. 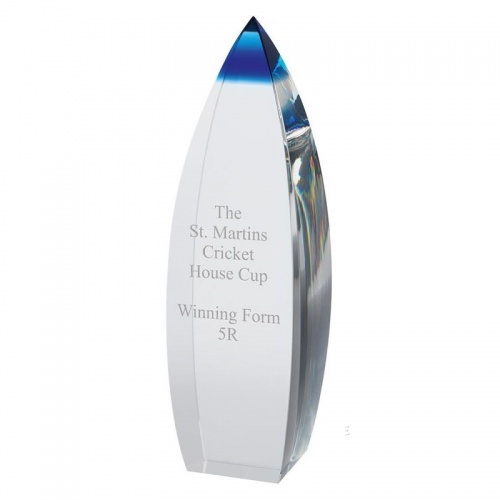 These awards can be engraved on the clear glass body. 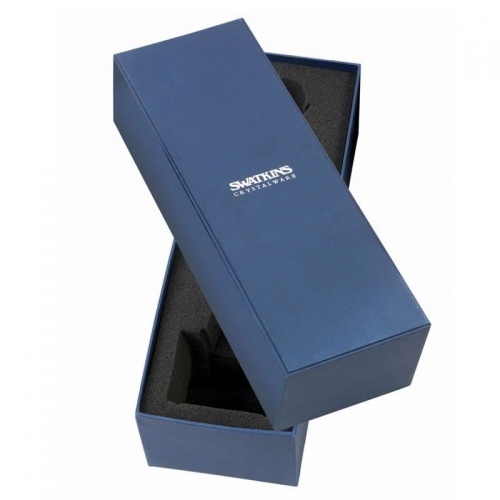 They are supplied with an attractive blue foam-lined presentation box.